Another post on equestrian style for all you country chic and fashionable girls. I came across the Cross Country Style website and found a host of traditional and beautiful designers to appeal to your inner sporting star. Now this was the first thing to catch my eye. I have always longed for a Barbour quilted jacket. 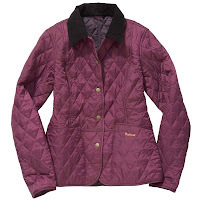 I would usually have opted for the black but after seeing the Summer Liddesdale Quilted Jacket in blackcurrant I instantly fell in love, wearing a splash of colour always brightens my mood and day. Barbour is a classic brand and the tailoring offers a truly beautiful fit. There is also lots of contrast with the quilted and corduroy collar fabric mix and its lovely lining. The popper fastenings are engraved while the logo is beautifully stitched into the deep pockets, there is even an internal one for valuables! A wonderfully versatile jacket. The Lansdown Club Polo Shirt is also wonderfully detailed with its cream and mustard contrast trims and large ‘look at me’ logo. 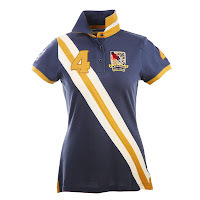 The cotton shirt features the Lansdown Polo Club shield and appliquéd number four. Its variety of flattering stripes, also gives it a nice womanly fit. 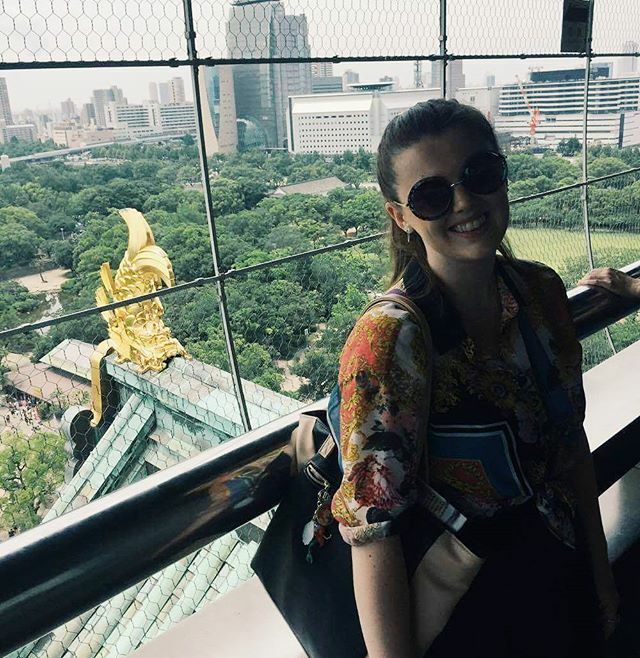 I have to admit when it comes to festivals or walks I am a Hunter girl through and through. 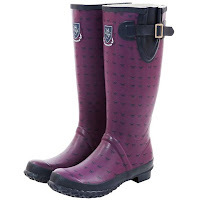 Saying that, these Sherwood Forest Melbury Horse Print Women’s Wellington boots are just adorable (oh and Cross Country Style sell a huge variety of Hunter boots also so no need to worry!). They are made of natural rubber and are reinforced throughout, the gusset has an adjustable strap for comfort and style with the addition of a secure metal buckle. I love the horse print, it is so cute and makes these boots so much fun to dress up or down, depending on the situation of course! Be it a manic festival or long grueling walk. So, what do I think of Cross Country Style? 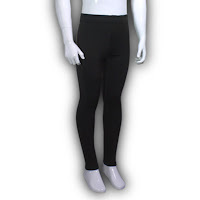 For the evening chill I spotted the Eskeez Super Thermal Leggings. Now the word ‘thermal’ may sound off putting to most, but these work their magic in cold and even warmer conditions. Of course, thermals are designed to keep you warm but these lovely fitted leggings are not just for intense sports and the biting cold. These stretchy wonders, offer a comfortable fleece inside and are tapered at the ankle to avoid any damage (who does not detest baggy leggings?). Plus they are coated with a durable water repellent, drying quickly so you remain snug. However, back to my beloved Barbour. I could not resist the summer rose Daisy Crew Neck Sweater. This cable knit jumper in its soft summertime shade is just beautiful. The crew neck is flattering and it can easily be placed within your bag (along with the leggings of course) for the evening. 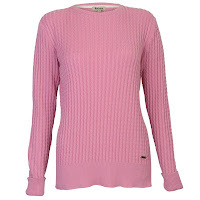 It is simple and sweet, featuring a small metal Barbour badge at the end and long cosy sleeves. Which of these items are your favourite? What brand do you opt for when going for country wear?